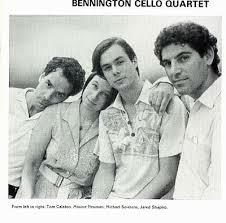 Maxine Neuman, Tom Calabro, Michael Severens, Jared Shapiro, cello. Opus One Records #148 Recorded, 1989, Bard College, NY. Engineeer: Max Schubel.